Pinnacle Black Label Synergy is the best decision a discerning owner can make in increasing the shine and protection of their vehicle's paint. Old school meets new world with Synergy's synthesis of classic carnauba and nano-coating technology to create a paste wax that stirs the soul with engineered perfection. Pinnacle Black Label Synergy doesn't just define Pinnacle's tradition of car care excellence... It redefines it. SYNERGY is the interaction of multiple elements to produce an effect greater than the sum of the individual effects. In other words, Pinnacle Black Label Synergy combines the best of each ingredient to create a wax without equal. Pinnacle's trademark liquid shine is enhanced with a glassy radiance to create an effect that is traffic stopping. Synergy�s water beading and protection quality are class leading. Carnauba wax has been used by enthusiasts since the dawn of the automobile. Harvested from the Copernicia Prunifera - �The Tree of Life� - in Northeastern Brazil, carnauba wax is one of nature's hardest and most protective waxes. When blended into a car wax, these high-quality paste waxes are known for their exceptional water repellency, UV protection and wet, shimmering reflections. Nano-glass coatings represent the latest in surface care technology. By bonding at the nanoscopic level, coatings effectively seal the surface completely. Black Label Surface Coatings use precisely milled nano-glass ceramic particles that crystallize as they bond, creating a brilliant glass-like shell of protection. Pinnacle Black Label Synergy extracts the utmost from each ingredient to create a revolutionary paste wax that explodes past the barriers of car care performance. Apply a THIN coat using a poly foam applicator. Let the wax dry to a haze (5-10 minutes). Gently buff it off using a Gold Plush Jr. They said it couldn't be done. 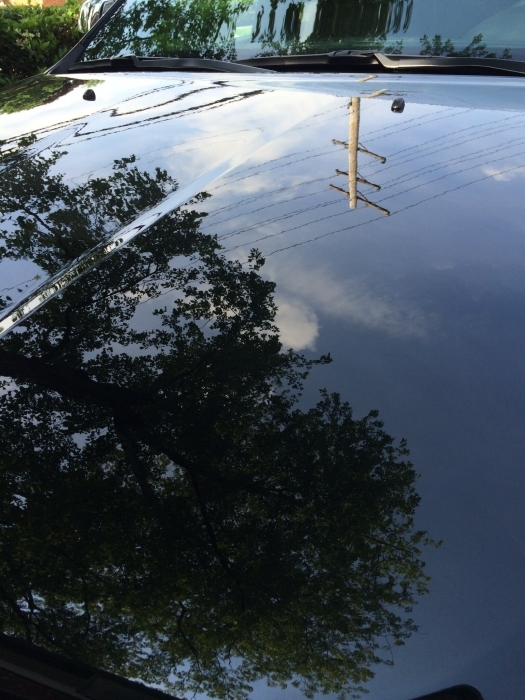 Carnauba wax and nano-coating technology are too different and cannot bond together. Pinnacle's team of chemists refused to listen. Pinnacle Black Label Synergy is the result of innovative bonding science, which allows these otherwise polar opposite ingredients to perform flawlessly together. One treatment of Synergy will last a minimum of 6 months, sealing out moisture, pollution and ultraviolet radiation while protecting against acid damage from bug splatter, bird bombs and contaminated rain. It is a breathtaking, unmistakable shine that people remember. Pinnacle Black Label Synergy's combination of fluid liquidity and precise clarity will be etched into the minds of those who witness it. Reflections will dance underneath the surface, ripple over curves and shine with radiance. Pinnacle Black Label Synergy creates the depth and warmth of a premium carnauba wax, and fuses it with the glassy shine of a nano coating to create the most vibrant wax ever made. Black Label Synergy is not just the brightest, deepest and wettest-looking wax that Pinnacle has ever created, it is the most protective. When water strikes the surface of Synergy, it will bead into precisely-uniform, extremely-tight spheres that run off the paint. This intense, relentless water beading forms a self-cleaning effect as water flushes of the paint. Paint treated with Pinnacle Black Label Synergy will stay cleaner, for longer. Pinnacle Black Label Synergy creates an insoluble barrier of protection. Acids and caustic alkalines have little effect; it cannot be scrubbed off with detergents and brushes. Bird bombs and bug splatter will wash away easily, leaving no permanent damage behind. Black Label Synergy will withstand the rigors of a daily driver while providing looks reserved for a pampered concours show car. This is the most protective paste wax we have ever tested. Only apply Pinnacle Black Label Synergy to properly prepared paint, or apply directly on top of Pinnacle Black Label Diamond Surface Coating or Pinnacle Black Label Diamond Paint Coating. To prepare paint, clean paint thoroughly and clay with Pinnacle Ultra Poly Clay if needed. Polish away swirl marks. After polishing, purify the paint with Pinnacle Black Label Surface Cleansing Polish. Apply Pinnacle Black Label Synergy to the paint thinly, using overlapping passes with a soft foam applicator. Allow wax to set up for 5 to 10 minutes, then buff to a brilliant shine using a Gold Plush Microfiber Towel. Apply a second coat a few hours later for best results. Pinnacle Black Label Synergy is a car wax like no other. It combines the hand-craftsmanship and classic attributes of a premium carnauba wax with the latest in precisely milled nano-glass ceramic technology. Each coat of Black Label Synergy infuses the paint with a shine so brilliant, and protection so armored, that a tradition for excellence has been redefined. Copyright © , Autopia-carcare.com a PBMG company. All rights reserved.